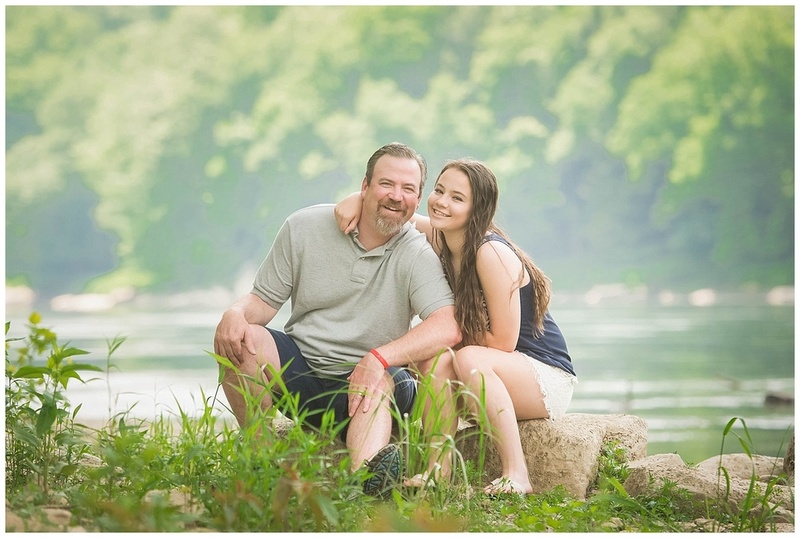 An extended family session on the Allegheny River! I just love big family sessions!!! I think, next to wedding photos, these are some of the most cherished photos we have. 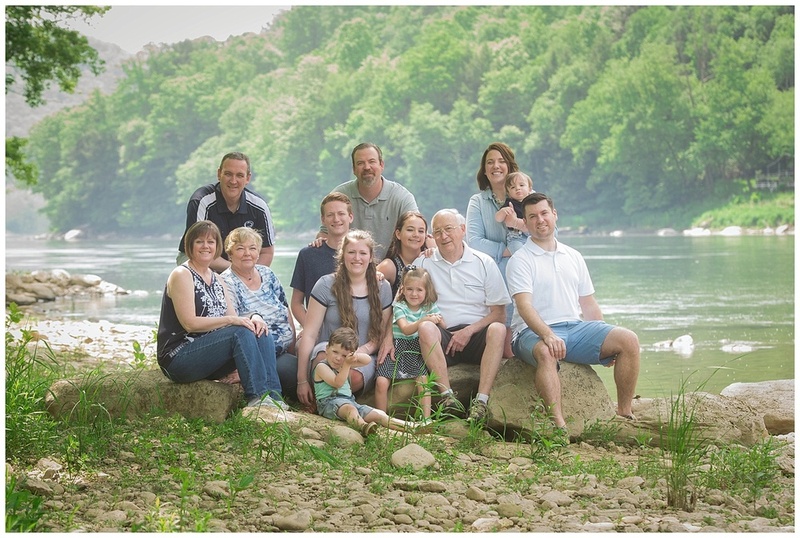 I know, with my own family, that the opportunities to get EVERYONE together, somewhat cleaned up, and willing [dragged] to gather for one big family portrait is something that doesn't happen very often. So when it does, when all the stars align....we celebrate. These are definitely not every day occasions, they are "once every few years" occasions. Kate contacted me because her entire family was going to be at her parent's cottage by the river for Memorial Day weekend. They really wanted to take an opportunity to capture these days. So I met them at their cottage on a [hot!] Saturday morning. 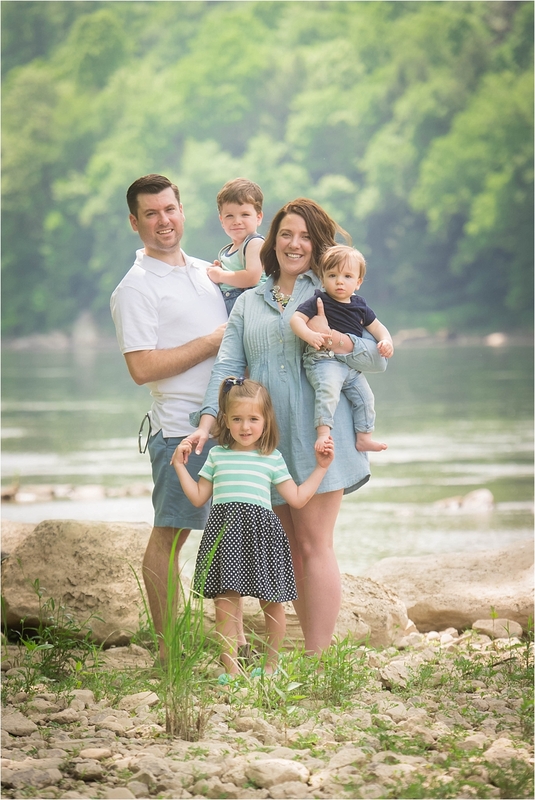 They made my job very easy - with such a beautiful family on a perfect day with an amazing backdrop? You just can't go wrong. On a sad note, the family wanted to take a few moments to remember a dear family member they lost too soon. It was such a sweet moment and, I have to admit, I had a hard time seeing through my lens due to my own tears. Thank you so much Kate and thanks to all your family. It was such a pleasure meeting and working with you all!